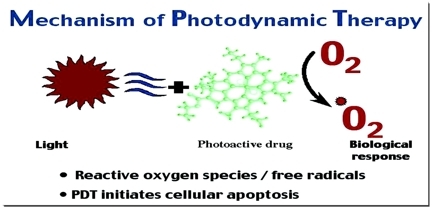 Photodynamic Therapy has proven ability to kill microbial cells, including bacteria, fungi and viruses. Photodynamic Therapy is popularly used in treating acne. It is used clinically to treat a wide range of medical conditions, including wet age related macular degeneration and malignant cancers, and is recognised as a treatment strategy which is both minimally invasive and minimally toxic.